Join the University of Manitoba and the University of Winnipeg for a FREE day of fun and discovery! 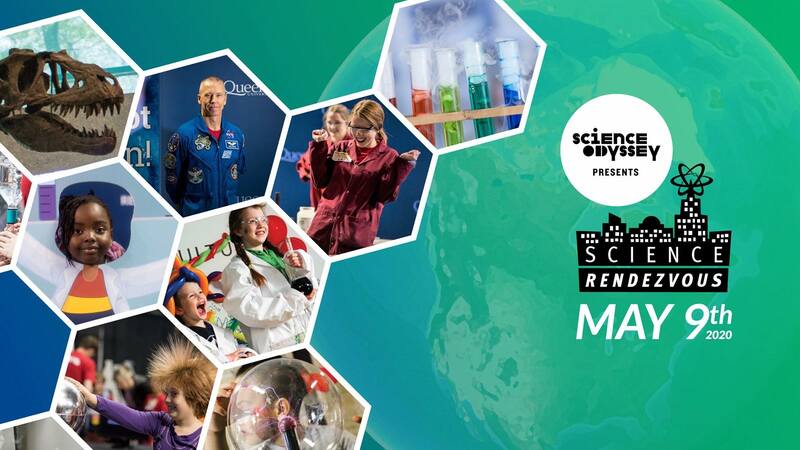 Science Rendezvous is Canada’s largest science and engineering festival. Prepare to be amazed, dazzled, and delighted by live shows! Explore the science around you through 50+ hands-on activities for the whole family! Free Water (refillable water stations, please bring your own water bottle). Take in our Chemistry Potions Class (à la Hogwarts!) where bubbling cauldrons and owls are just the tip of the dragon’s tail! These fantastic experiments and surprising reactions will amaze any crowd – better start practicing your incantations! Physics Show Experience fantastic Feats of Physics! Let your shadow strike a pose in phosphorescence at this year’s all new glow wall! Rock out on the fabulous musical staircase, get jamming on the fruit keyboard, or try a riff on the Theremin. Whimsical instruments for all ages! Dress up as a chemist for your free photo souvenir! Treat your taste buds to liquid nitrogen ice cream! This instant-freeze delicacy is smooth and delicious, served with a side of physics. See what’s under the microscope with a balloon in the shape of your favourite microbe or molecule! Sun in your eyes? Let the solar observatory take you out of this world! Delight in technologies of the future as you interact with robots! Liquid or solid? You decide! We dare you to dance across the pool of oobleck for a wholly non-Newtonian experience! Visit www.sciencerendezvous.ca for more information.